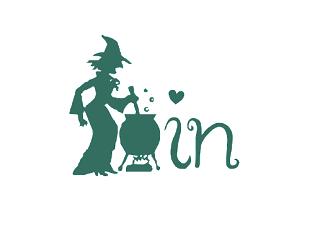 Those of you who follow us regularly will know that back at the end of May I made a mistake with dates and we had a one week challenge, this week in order to get back on track we are having a three week challenge! So we will not be back until 19th August! For the 3embellishemets I have used a paper clip, flowers and gems. The 2 backing papers are from a Crafts Too paper pad. The image is from The paper shelter and coloured with promarkers. 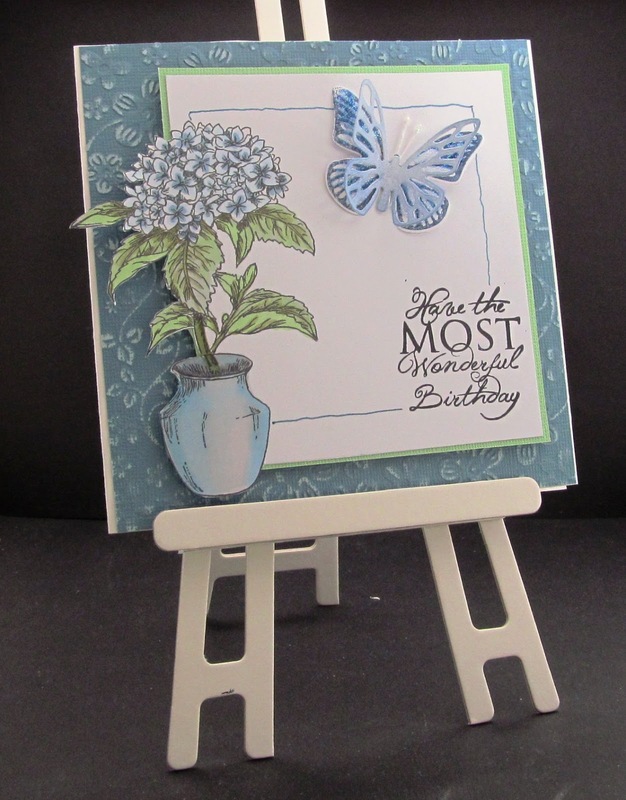 I've used a lovely Sara Burrier image from Crafts and me, papers by Kate Knight, and finished with two flowers and a butterfly made with die cuts from Sizzix and Spellbinders. 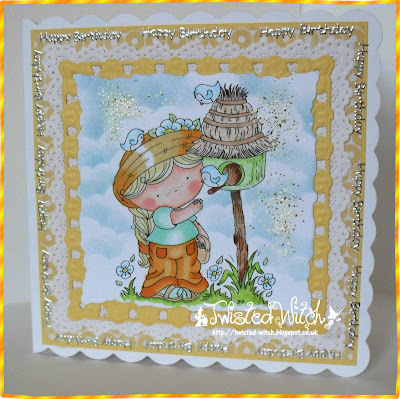 I have used a gorgeous Wee Stamps image coloured with Promarkers and 2 background papers from the MME Quite Contrary set. My 3 embellishments are: pearls, flowers and a bow. I have used an image called 'Rock Star' by our Sponsors 'The Paper Shelter', and a digital paper by My Grafico and a 1st Edition paper. 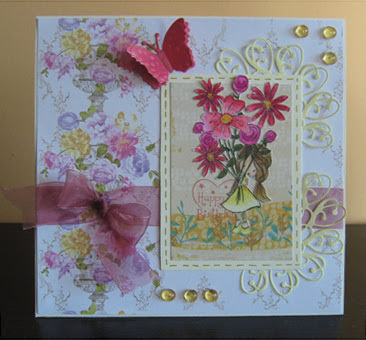 My 3 embellishments are Musical notes, flowers and feathers. 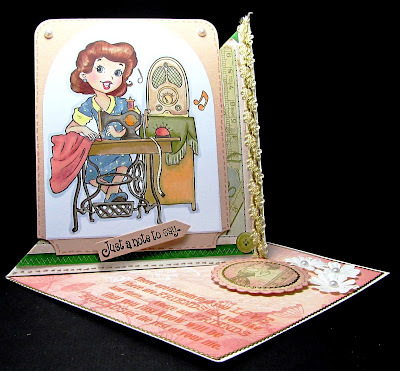 For my easel card, I used the vintage dressmaker image from our sponsors, The Paper Shelter, which I coloured with Promarkers. I used the matching backing paper from The Paper Shelter, and a complementary paper from my stash which I distressed around the edges with Victorian Velvet distress ink. My three embellishments were some paper flowers, some pearls and a ribbon edging strip. 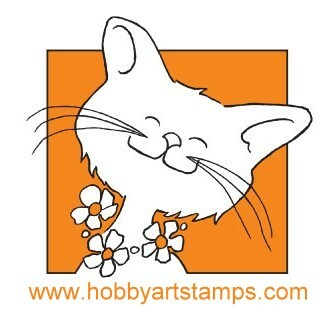 For my card I have used an adorable stamp from LOTV which, as always, I have coloured with my ProMarkers. My papers are from the Crafts Too "Spots and Stripes" pack and also from the Forever Friends "New Arrival" pack. 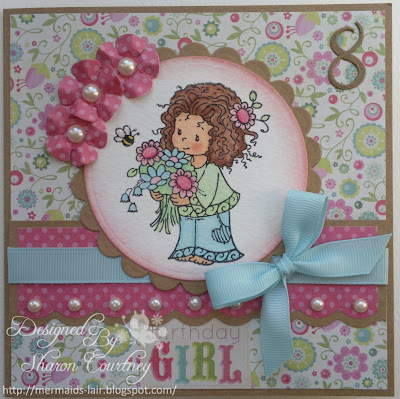 My 3 embellishments are flowers, gems and mini buttons, which are all from my stash. A card made for a celebration. You can never get too much ice cream can you? 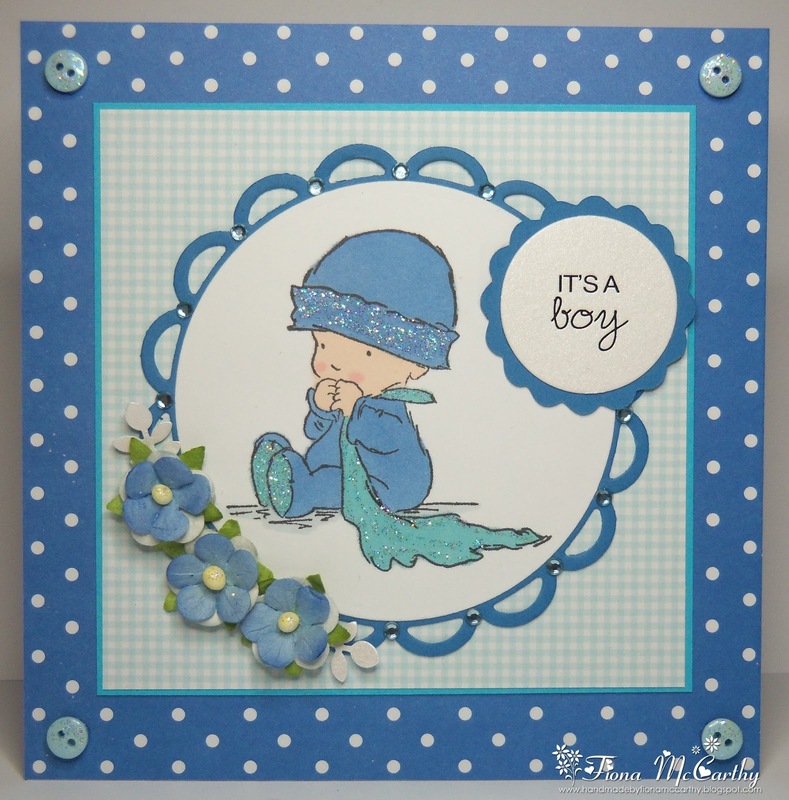 The image is from the Paper Shelter, colored with my Letraset family. The designer papers are from First Edition. My three embellishments are pearls, ribbon and a charm. 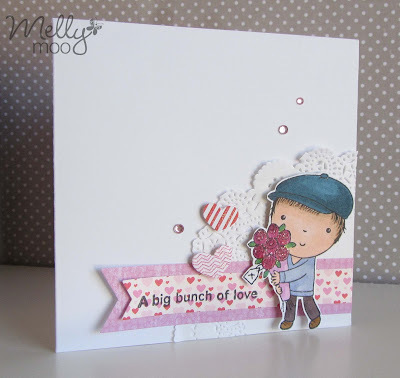 I've use 1 Penny Black image, two DP scraps and 3 embellishments; doily, die cut hearts, gems. The image is 'Gothic Girl' from our sponsors 'The Paper Shelter' and she has been coloured with promarkers. 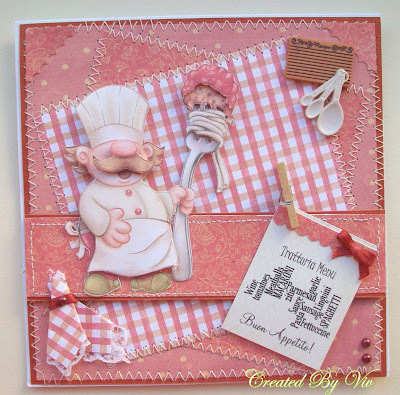 I used two digital papers from my digikit 'stash'. My three embellishments are ribbon, flowers and a balsa wood die cut chandelier embossed in black. No sentiment as I'm not sure yet who will receive this or why!! 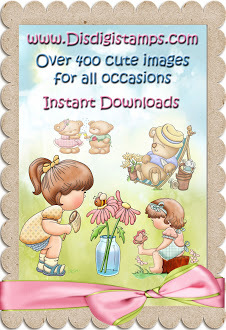 I have used Huge Happy Birthday from our sponsors Woodware as my image. My two patterned papers are from our other sponsor The Paper Shelter, and my three embellishments are Ribbon, a button and a brad, all available from Woodware. An oriental style card from me. 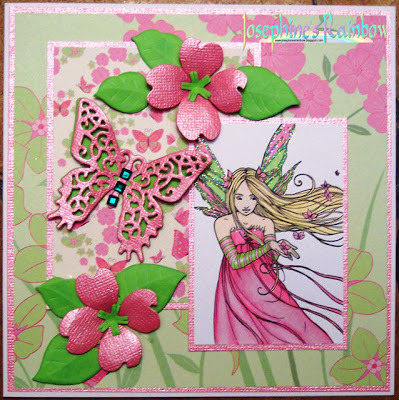 I've used a Geisha stamp by Bravura, two oriental style DPs and my 3 embellies are sequin waste, flower and gold twine. I have used 'Yummy' digi stamp from our sponsors The Paper Shelter. 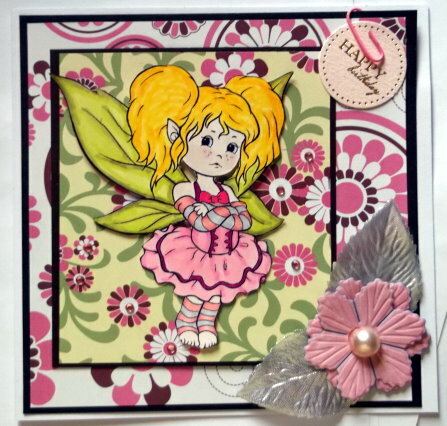 My DPs are Kanban and Papermania, and my 3 embellishments are ribbon, a button, and pearls. 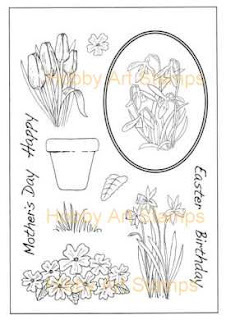 My card is made from 1- milk coffee stamps' digi image; 2- design papers; 3- butterfly die from joy, punches flowers and leaves, twig die from spellbinders, sequins for shining and simple stitch for a perfect finish. 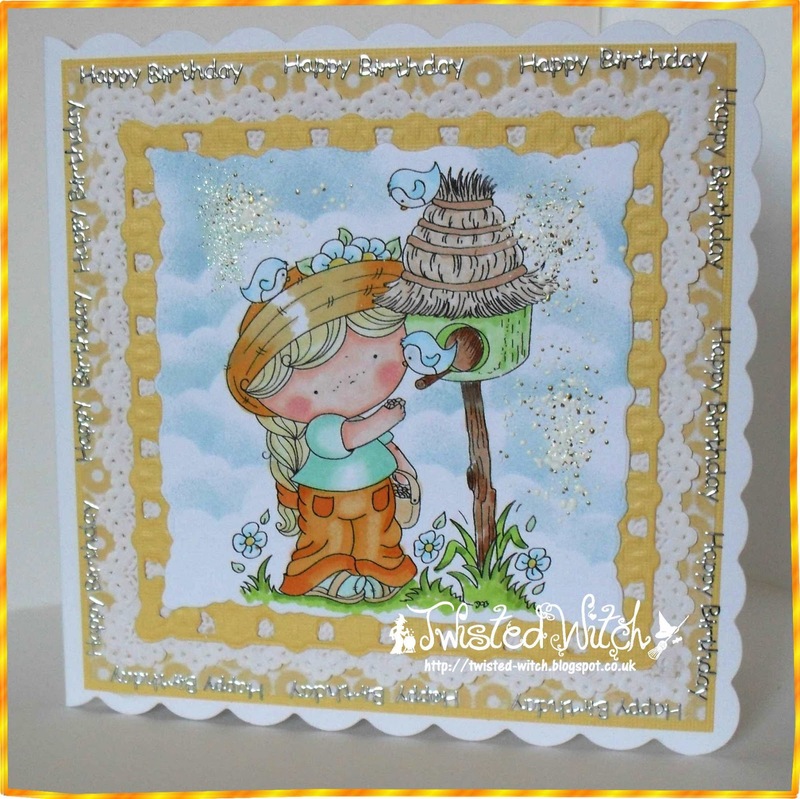 For my card, I have used an image from The Paper Shelter, called 'Spring Swing'. She has been coloured with my Copics and popped up with 3D foam tape. 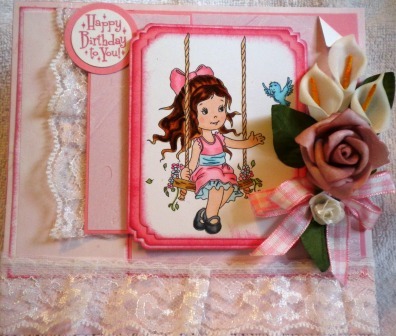 My 3 embellishment choices are a flower arrangement, white lace and a pink gingham bow. 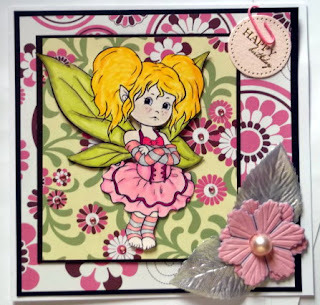 My image is from Mayz Art, my two pattered papers are K&Co and MME, and my three embellishments are floral arrangement, dragonfly and sentiment. 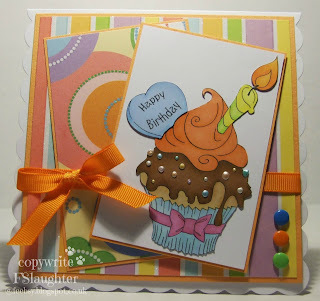 For my card I used "Birthday Cupcake" digi from our sponsor The Paper Shelter and coloured it with promarkers. My DP's are from DCWV and my 3 embellishments are a ribbon/bow, brads and liquid pearls on the cupcakes icing. Please ensure your project has the required elements in the required quantities and that you tell us what your three embellishments are. PLEASE NOTE THE NEXT CHALLENGE WILL BE IN THREE WEEK'S TIME. AS SOMEONE, NO NAMES, NO PACK DRILL - YEAH OKAY IT WAS ME - CANNOT READ A CALENDAR PROPERLY AND MUDDLED UP THE CHALLENGE DATES WITH OUR SPONSORS. 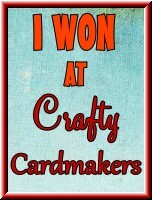 The winners have until 18th August to claim their prize, after which time I am afraid the prize(s) will be forfeit. As we choose our winners, rather than having a random number thingy to pick them it's too difficult and time consuming to go back again and go through the entries to pick out new winners. Neither, sadly do we have time to chase the winners up. Please note there are three weeks between challenges this time around, instead of the normal two........ guess who can't read a calendar, again! 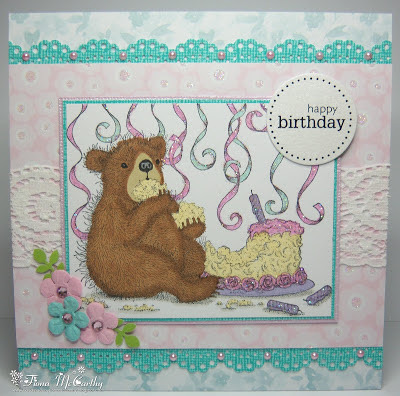 Welcome to our latest challenge, hosted by Lin, who has chosen the theme of 'Birthday'. 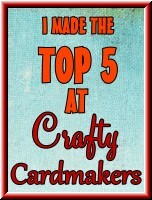 As it's our birthday, 4 years since our very first article was published and Crafty Cardmakers was born, Lin would like to see your birthday creations to celebrate our birthday. Please ensure your project meets the birthday challenge theme in order to qualify for a winner or Top 5 slot. 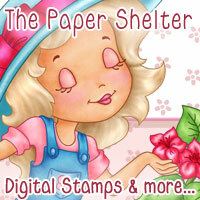 My image is from one of our Sponsors, Di's Digistamps and I coloured her with promarkers and copics. Papers and doily from my stash, yellow mat is a Marianne Die. 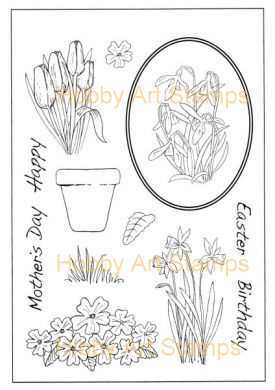 I've used the lovely Orchid Decoupage Stamp set from Imagination Crafts. Coloured with ProMarkers and decoupaged. The background is inked over with Distress Inks and a sparkly pen used to highlight the background. 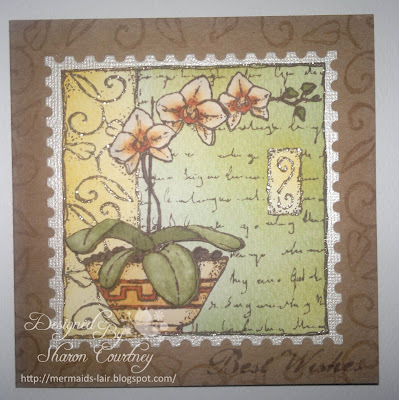 The swirly leaves stamp that comes with the set was stamped around the edge of the Kraft card base using Versamark ink to give a watermark effect. This card was part of a commissioned order of some personalised birthday cards for children. 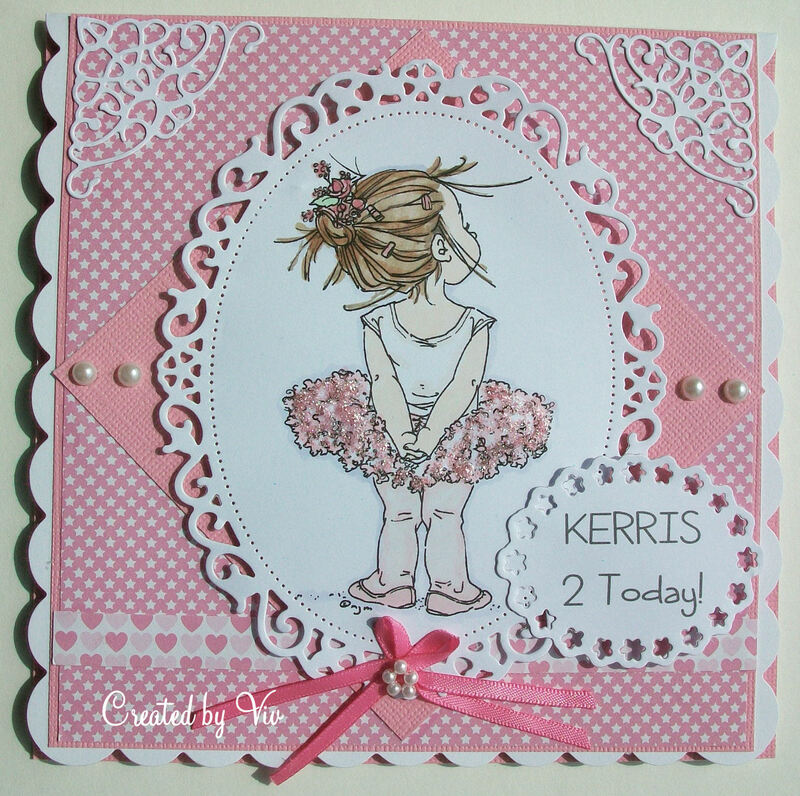 Used little ballerina image by Mo Manning, papers from my stash, a few different die cuts and some girly bling! One of two cards I've made. 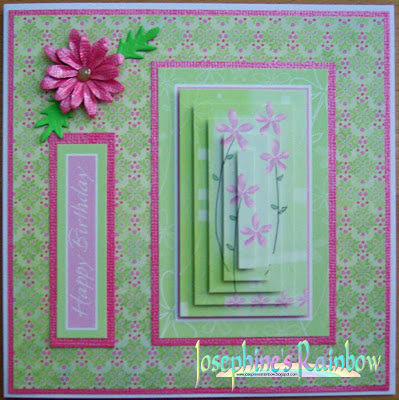 I used some die cut pyramage sheets, and added some MME paper and a hand-made flower to complete. 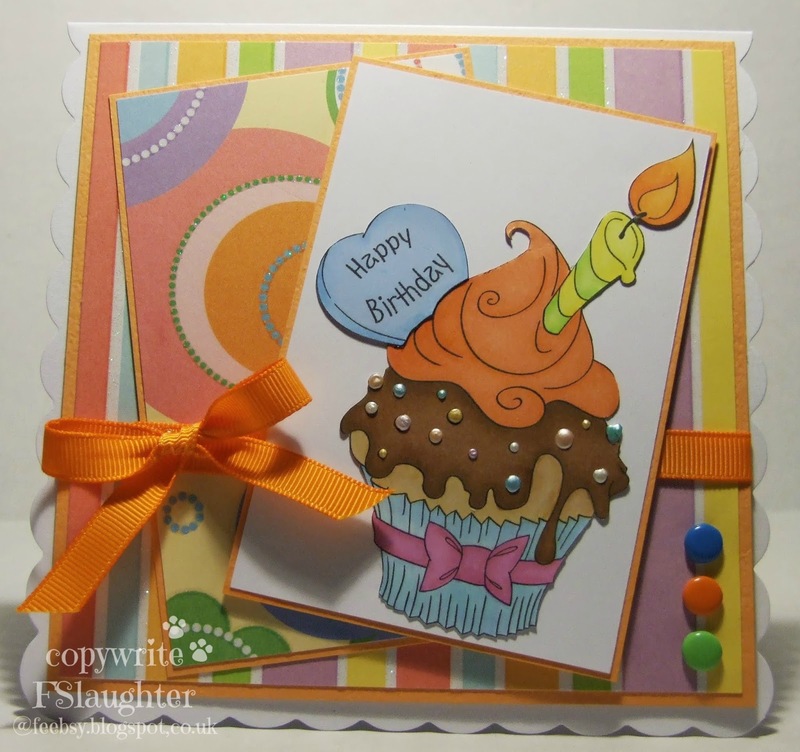 I used some DCWV papers and a Wendy Vecchi stamp to make this bright and cheerful birthday card. 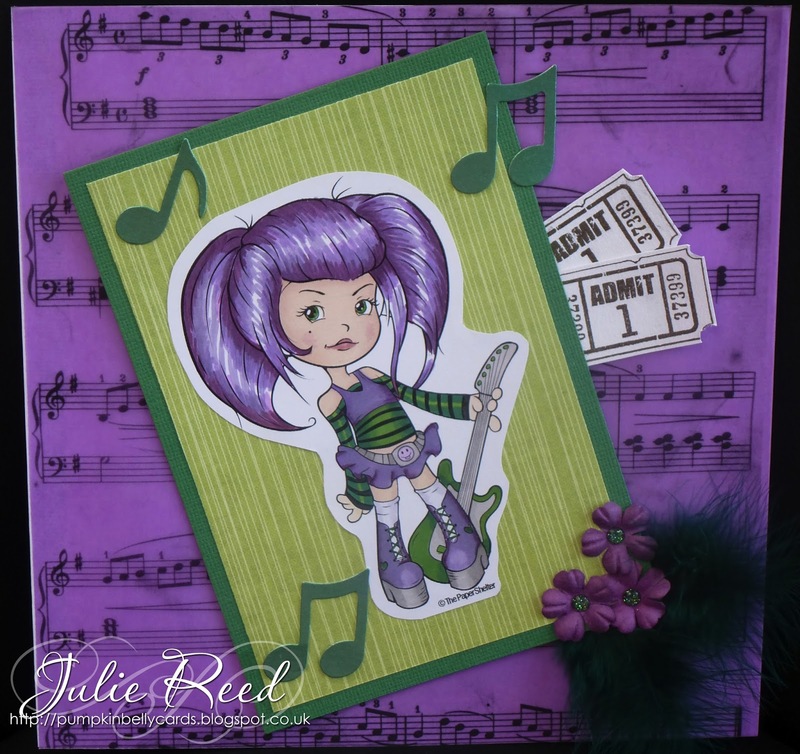 For my card I have used a Gruffies stamp coloured with my ProMarkers. My papers are from the Lucy Cromwell pack and all my embellies are from my stash. I used Graphics 45 papers to make my card, the trimmings came from my stash. 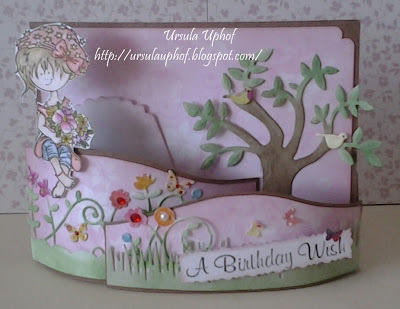 A card made with Pion papers and cut outs. 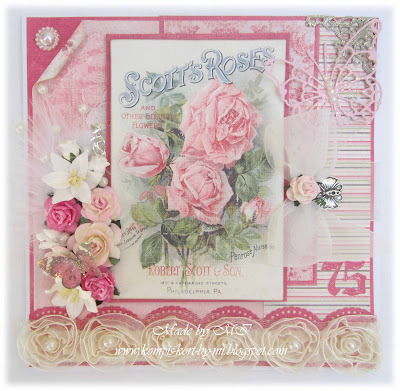 It's for a lady turning75 in the end of July. It was good to for once making a card that involved no coloring from my point. 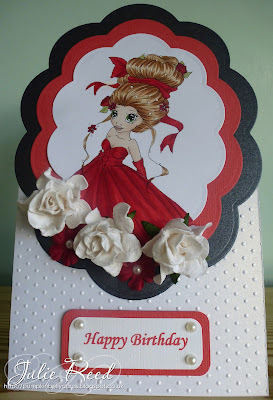 Lots of details added with die cuts, charms, pearls and flowers etc. 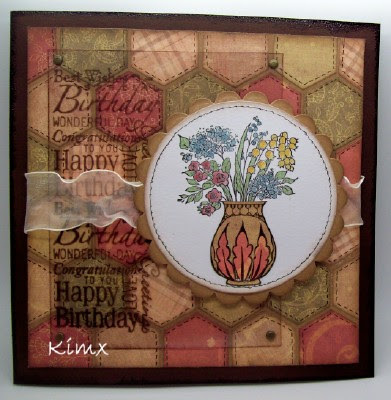 My card has been made using a couple of fabulous Hobby Art clear stamps. I chose to use some crafters companion stamps and a sizzix die and stamp butterfly for my card this time, and coloured them with promarkers. 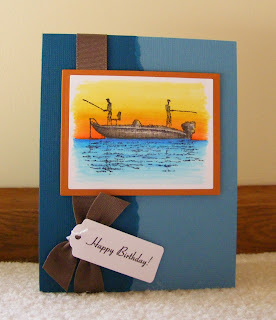 The background card was from my stash and embossed using an embossing folder. 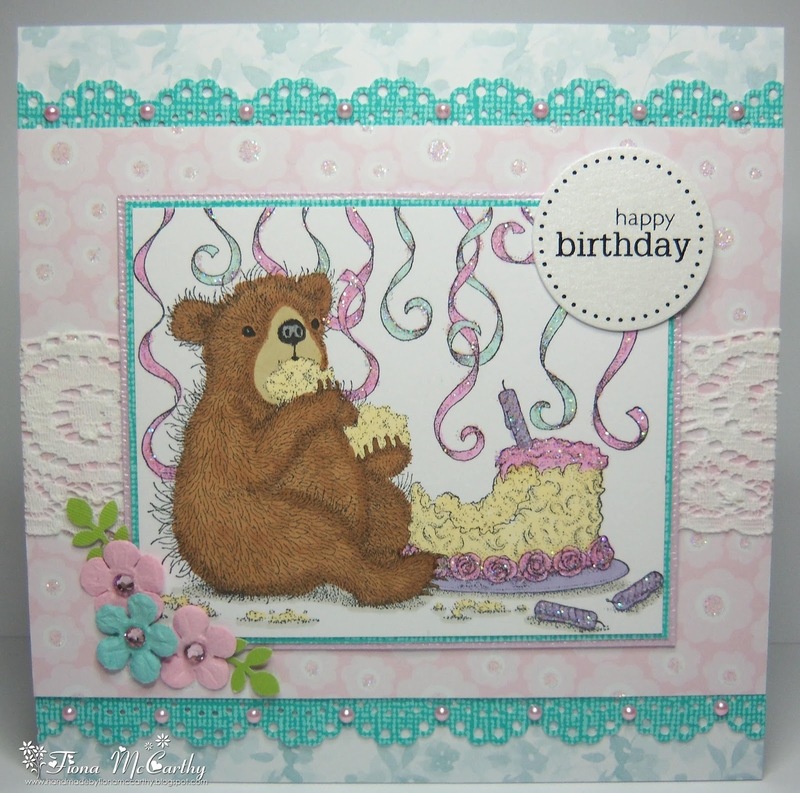 I have used a Craftwork Cards Warren Rabbit topper and sentiment. 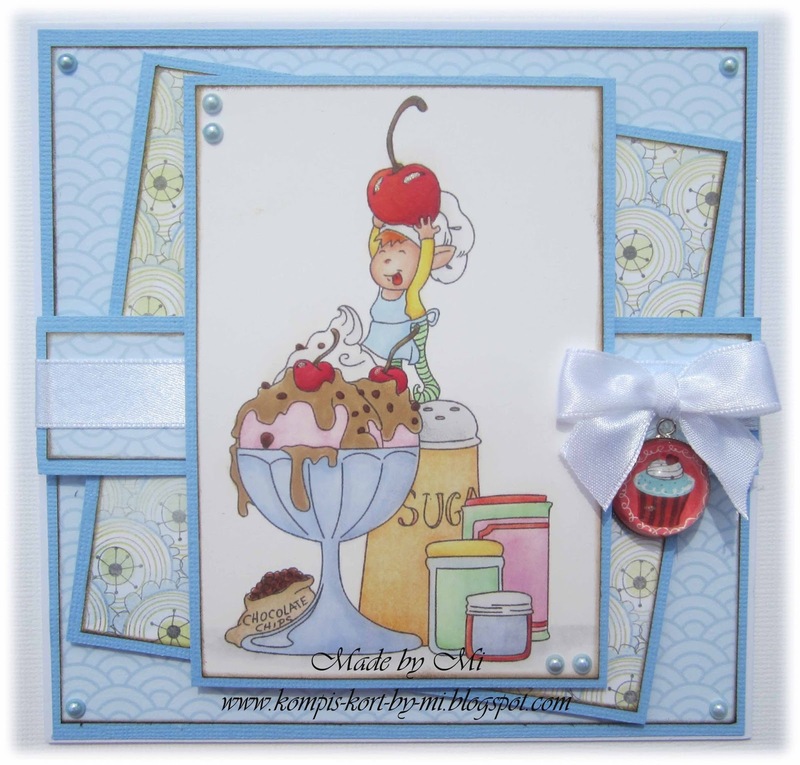 I stuck with the monochrome theme for the card using a 6x6 Embossalicious folder, ink, and Creative Expressions decorative pins. 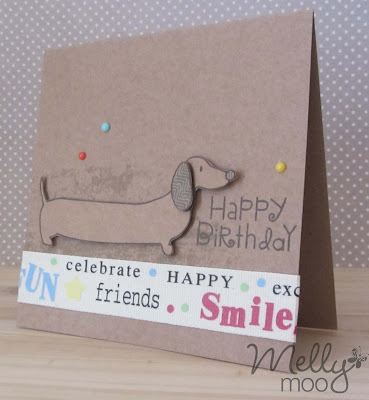 I've used an Urban dog stamp from Papermania, some very old ribbon from my stash and a sentiment from Papersmooches. I add the "splodges" to the kraft base give it a bit of a distressed look. 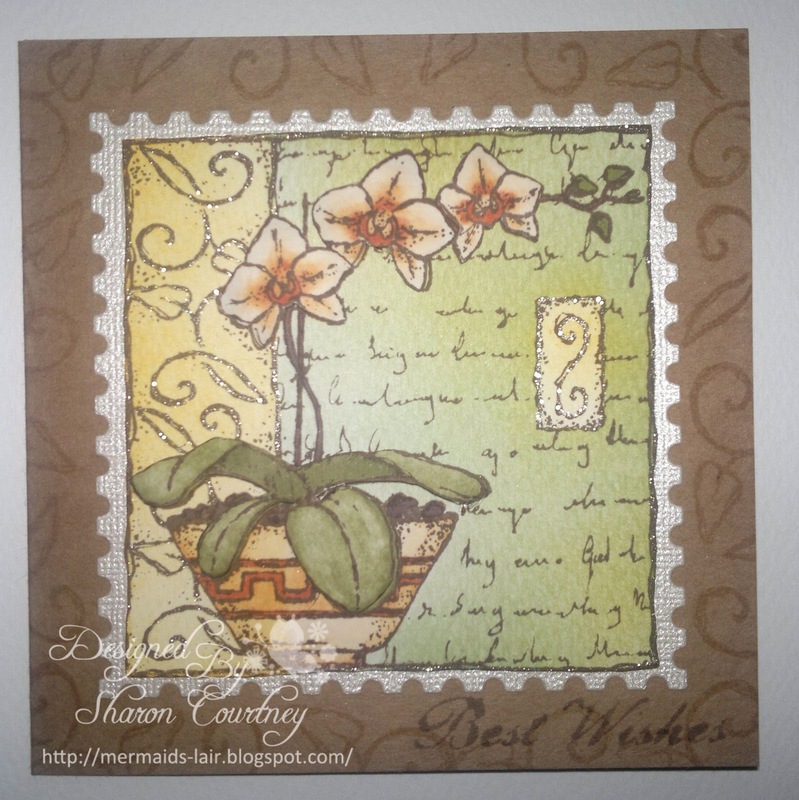 The flowers and leaves on my card are cut from DP using a Tim Holtz die. The doily is Stampin' UP DP and the red background was cut using an SU framelit. 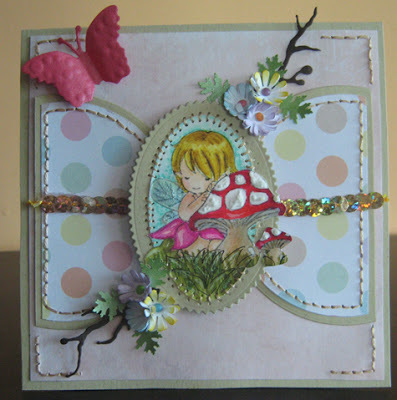 The butterflies are a Martha Stewart punch, cut from SU glitter card and the sentiment is also SU, die cut using a Spellbinders fancy tags die. 'Birthday Boy'. 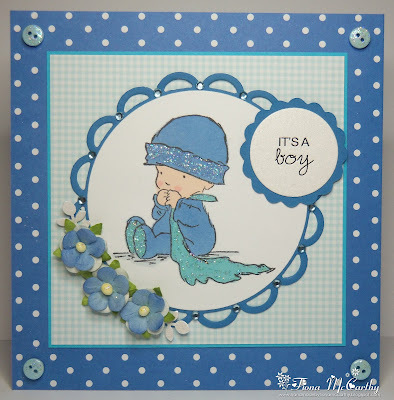 He is coloured with Crayola Pencils and cut out using Creative Memories Ovals. 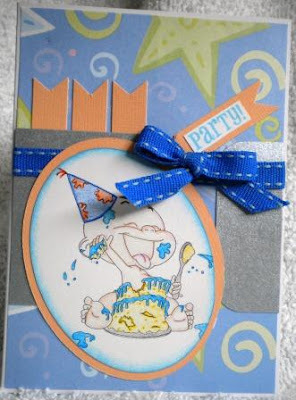 All of my cardstock is from Recollections. 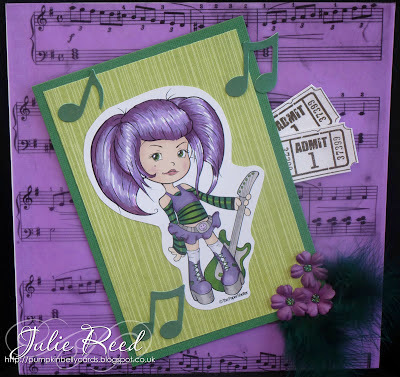 I have used Memory box and Joy dies, design papers from my stash, and a beautiful stamp from tiddly inks which I colored with Spectrum Noir markers. 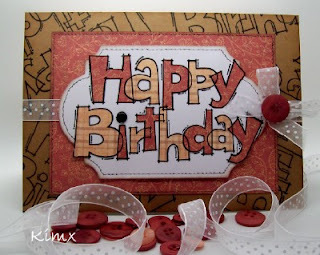 I added a ribbon to complete the card and make a reference to a birthday present.